Caterpillar Marine is pleased to announce it has completed the acquisition of ESRG Technologies Group, LLC, a vessel monitoring and data analytics leader in the marine industry. The acquisition includes ESRG's comprehensive software suite for the remote monitoring and diagnostics of more than 65 on-board systems as well as the expertise to provide meaningful recommendations to ship owners to help increase efficiency, reduce downtime on their vessels and assist shipyards in reducing warranty expenses. Headquartered in Virginia Beach, Virginia, ESRG has provided leading-edge data analysis and remote monitoring technology for assets in the marine and naval defense sectors since its inception in 2000. ESRG serves as a data analytics provider for the United States Navy, providing remote monitoring and analytics services for warships. Currently ESRG's proprietary software is monitoring thousands of assets on vessels operating around the world, providing leading edge prognostic recommendations to ship operators and owners. "As a result of the ESRG acquisition, Caterpillar Marine is evolving beyond engine-focused monitoring to provide monitoring and diagnostic solutions for an entire vessel," Nigel Parkinson, Caterpillar Marine managing director noted. "Our customers are asking for solutions to drive down operating costs and maintain leading-edge uptime. Together with ESRG's experience, Caterpillar Marine is prepared to offer solutions to our customers today to help them achieve this goal. This acquisition enables Caterpillar Marine to move closer towards our strategic vision of serving our marine customers as a complete systems solutions provider." ESRG will become a part of Caterpillar Marine, which operates within the Marine and Petroleum Power Division of Caterpillar Inc. ESRG software solutions will be rebranded as Caterpillar and sold and supported through the global Cat® dealer network. The technology will operate in alignment with the broader Caterpillar Inc., Cat Connect monitoring initiatives. To achieve customers' financial targets, Caterpillar is now able to make vessel productivity and equipment recommendations utilizing aggregated data and automated analytics supported by account-dedicated fleet advisors. 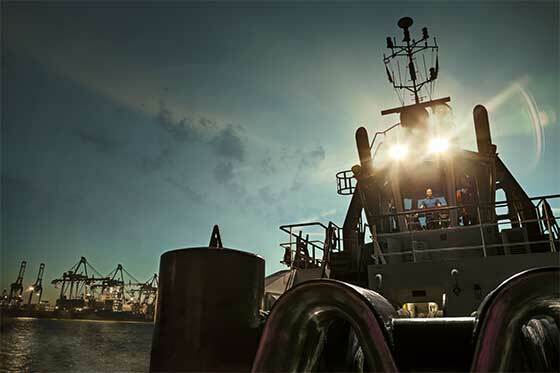 Caterpillar Marine Asset Intelligence solutions can be implemented on vessels operating with Cat equipment or with any other competitive power solutions. The solutions are not limited to the engine, but focus on the entire ship as well as all of the operating systems. The suite of solutions will bring value to customers not only in equipment management, but also in the areas of productivity, safety and sustainability. "Marine customers have been asking for this technology for the past few years as communication costs have declined and Big Data is becoming more commonplace. However, managing data and establishing analytical driven rules are not the core competency of most operators today," Leslie Bell-Friedel, Caterpillar Marine Asset Intelligence business development manager stated. "Our role as Caterpillar Marine is to introduce a full suite of analytics solutions to our customers which are tailored to their individual pain points. Some customers will want to focus on increasing the reliability of machinery operations, while others will be focused on optimizing vessel productivity, ensuring safety, and/or operating more sustainably. This technology not only monitors running conditions, but it leverages analytics to understand the interrelations of different variables on the overall system and incorporates historical data to predict future failure modes. Regardless of the individual challenges, Caterpillar Marine is now able to offer a full suite of analytics solutions to help our customers achieve their objectives." "We are excited about joining Caterpillar Marine in providing marine owners and operators with technology and service solutions to increase uptime and decrease total cost of ownership," Ken Krooner, ESRG's President, noted. "We believe the combination of Caterpillar's product and service leadership in the marine industry and ESRG's technology and expertise creates additional customer value that neither of us would be able to deliver alone. Together, with the reach of the global Cat dealer network, we look forward to helping customers optimize their maintenance and operations across the total vessel, including both Cat and non-Cat equipment, as well as across an entire fleet." Cat marine power, propulsion and vessel analytics solutions are backed by the worldwide Cat dealer network with trained technicians to ensure service support is never out of reach. For more information on Caterpillar Marine, visit www.marine.cat.com. For information on Cat Propulsion products, visit www.catpropulsion.com. For more information on ESRG Technologies, visit www.ESRGtech.com Follow us on Facebook: www.facebook.com/caterpillarmarine and Twitter @catmarineglobal.